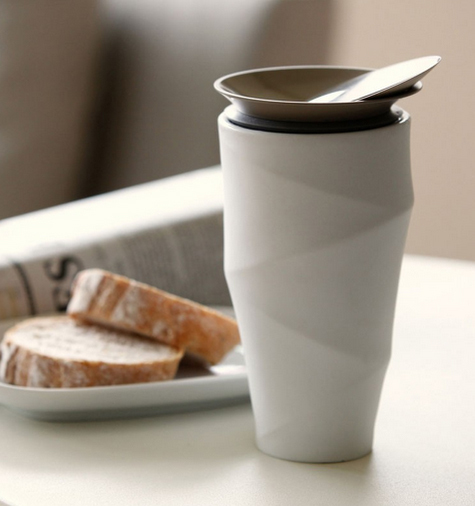 Wave is a beautiful cup made of double-walled porcelain with a soft touch on the outside and polished inside. It is designed for gentle sipping, and who wouldn't want to savor coffee in this lovely mug. The cup has a matching coffee filter holder - that fits perfectly into the cup - so you can always go back and brew fresh coffee. If you prefer a smaller mug with the same amazing lid design, check out the Lotus tea cup.